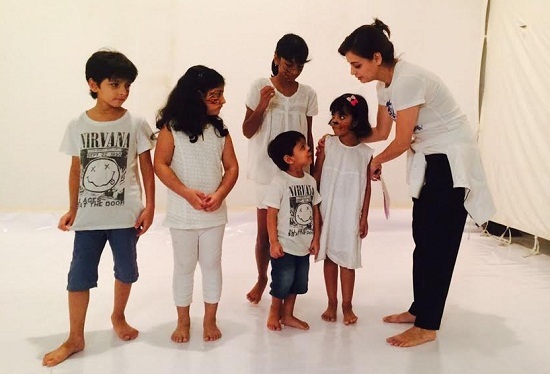 Mumbai : Taking her commitment to championing causes connected with nature to the next level, actor & producer, Dia Mirza has now made her directorial debut by directing a Public Service film on the occasion of World Tiger Day, 2016. Written by Cara Tejpal and Sahil Sangha, captured by ace photographer Rohan Shrestha and produced by Born Free Entertainment, the film aims to spread the vital message of Tiger and Nature Conservation through the innocent yet aware voices of children belonging to different age groups. Adds Sanctuary Asia head & well-known conservationist Bittu Sahgal, “Dia Mirza joined the Sanctuary family over three years ago when she spearheaded our 'Leave Me Alone' campaign. Since then she has evolved into a highly credible voice for conservation, tirelessly supporting issues that are crucial but lack visibility." "By conceptualising and directing this PSA, Dia has crafted a poignant message from over one million Kids For Tigers to the elders who are in control of their lives: "We demand you leave us a better world. All we need to do is protect nature and nature will protect us,” he added. Despite countries such as India, Nepal, Russia and Bhutan registering a spike in the Tiger population, the status of the animal still remains “endangered”. Born Free Entertainment & Sactuary Asia’s initiative then is a small, yet significant towards a larger goal of Tiger conservation and environmental preservation in India and the world.